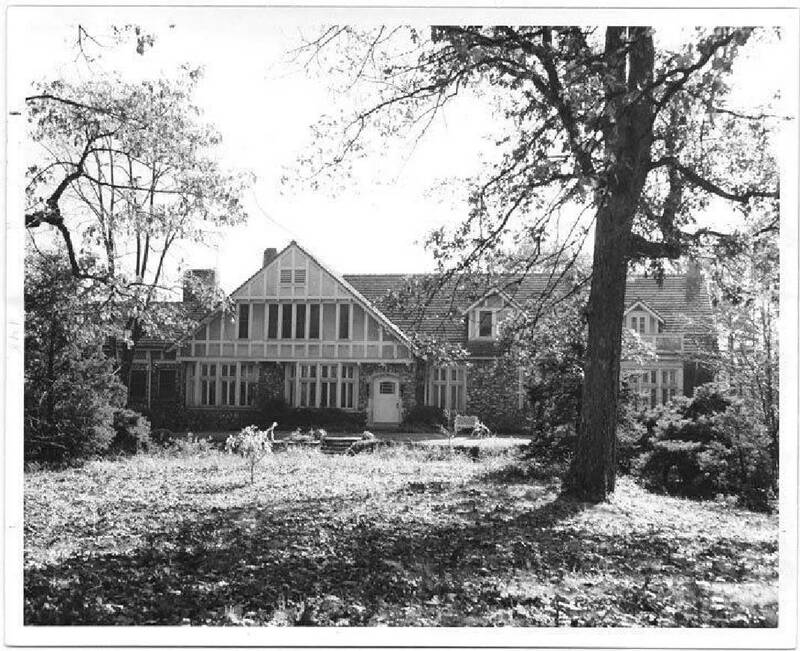 The Longholm home on East Dallas Road was built in 1915 and was renowned for its gardens. The 15-acre site today contains townhomes. In 1915, my great-aunt Sophia Scholze Long built a beautiful residence in the style of a English country home on 15 acres on East Dallas Road and lived there until she died in 1970. It was called Longholm, home of the Longs in German. Sophia was the daughter of German immigrants, Gertrude and Robert Scholze, who started Scholze Tannery in the 1870s. Longholm's main attraction was a sunken terraced garden in its backyard designed in the shape of a violin. Roses, day lilies, hybrid azaleas, a Linden tree, boxwoods, wisterias and flowering cherry trees made it a sight to behold, especially in April. GPS May Day ceremonies were held in 1933 and 1934 at the bottom of the garden next to the small pond. Spectators and participants sat or stood on the terraces. One of Sophia's daughters, Nelsie Long, served in the American Red Cross during World War II in Africa, England and Italy. After the war, Nelsie became one of the first women to graduate from Harvard University, receiving bachelor's and master's degrees in landscape architecture. She later designed many landscapes around Chattanooga. Her sisters were Silvia Harrison, Betty Mixter and Gertrude Muessel. Sophia's son Robert served in the 83rd Infantry Division in World War II as a first lieutenant and artillery forward observer for which he was awarded two Purple Hearts. Shortly after the Battle of the Bulge and in the midst of war's final chaos, Robert and his sergeant spent the night in a barn in southeast Luxembourg near Trier, Germany. Being a good observer, Robert spied a large bundle in the barn that turned out to be a tapestry. Robert commandeered the tapestry (possibly saving it from destruction), shipped it home through the Army postal system, and had it hung in his mother's large living room at Longholm. After his mother died, Robert lived at Longholm until he passed away in 2003, when he gave the tapestry to First Presbyterian Church. The artwork depicted a scene during the First Crusade where its Frankish knight and leader, Godfrey of Bouillon, stormed and overtook the city of Jerusalem held by Soliman and the Turks. With the blessing of First Presbyterian, several of us, including Kay Gaston, my cousin Joe Gaston and I, attempted to return the artwork to its the pre-war owners. Tom Campbell, head of the Tapestry Department and later director of the Metropolitan Museum of Art in New York, identified a factory at Aubusson in central France as having produced the tapestry in the late 1600s and gave us dealer contacts in Europe, but the trail had grown cold almost seven decades after the end of World War II. First Presbyterian a few years ago sold the tapestry through a dealer in Virginia for $15,000. In addition to intricate woodwork, Longholm contained dining room murals depicting local historical scenes including the John Ross House, a 19th century view from the north side of the Tennessee River, Market Street in 1864, the view from Signal Point before Europeans settled the area, and Lula Lake and the Falls. Robert Patterson, a member of a Sale Creek family and graduate of the Art Institute of Chicago, lived for several months in 1925 at Longholm and painted those scenes. Sophia also kept a painting of Moccasin Bend in her hallway. Besides having tried and failed to save Cameron Hill from the bulldozer in 1962, she was an outspoken advocate of preserving Moccasin Bend. Sophia with Sherman Paul, Elizabeth Patten, Mildred Montague, Dr. Joe Johnson and other public-spirited citizens played important roles in avoiding commercial development and moving the Bend into public hands. Today the National Park Service is developing the Moccasin Bend National Archeological District, which protects and interprets Native American village sites from more than 12,000 years ago and Union artillery trenches from the Battles of Chattanooga in the fall of 1863. To accommodate the rollout of the national park at the bend and its link with the Tennessee Riverwalk, the city of Chattanooga and Hamilton County are seeking a new home for the police firing range, which occupies a key parcel at the entrance to the park. Sophia would be happy with any signs of progress on moving the range and allowing the public to enjoy her treasured Moccasin Bend. Longholm was demolished by a developer several years ago and is now the site of several attractive town homes.